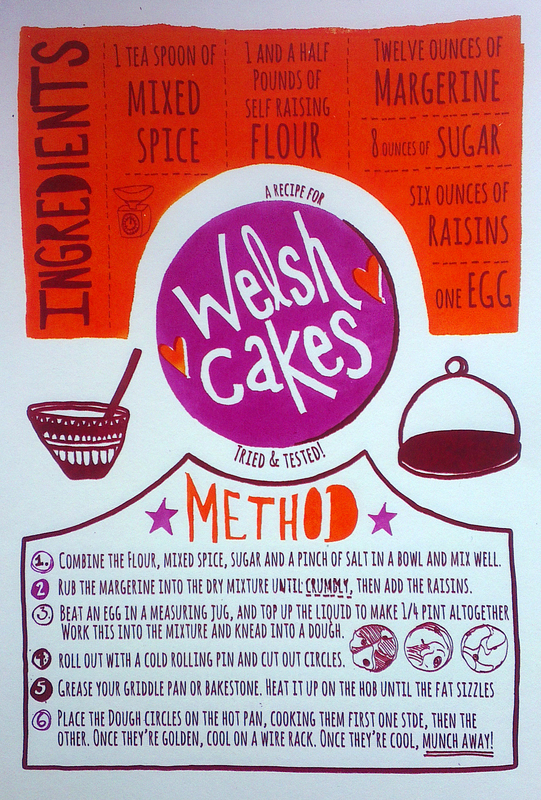 This week I have mostly been printing a new design – an illustrated recipe for Welsh Cakes – at the Printhaus. 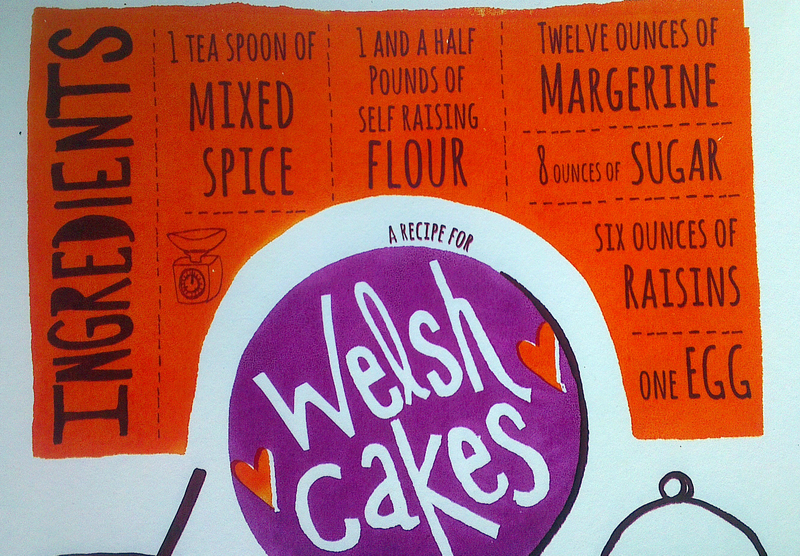 I grew up with this recipe, as my mum used to bake around 100 or more Welsh cakes each week to sell at the WI market. 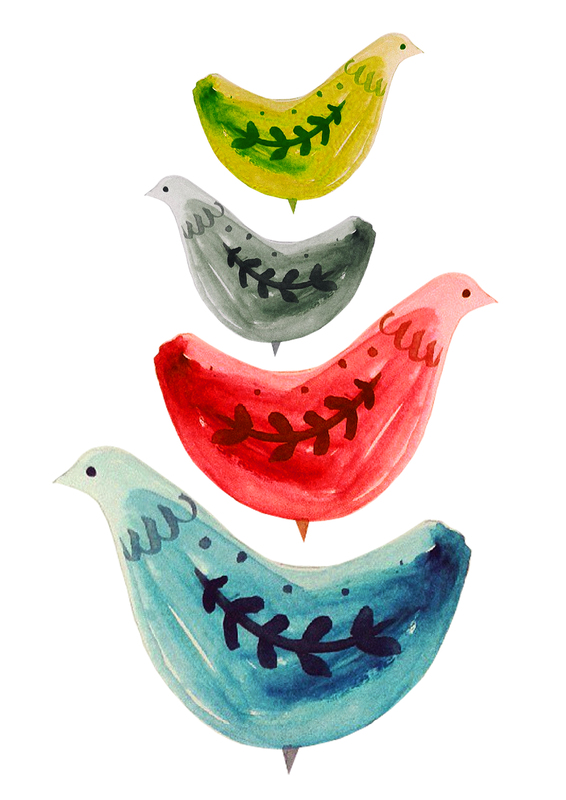 Here it is as a screen print for the kitchen in bright, homely colours. 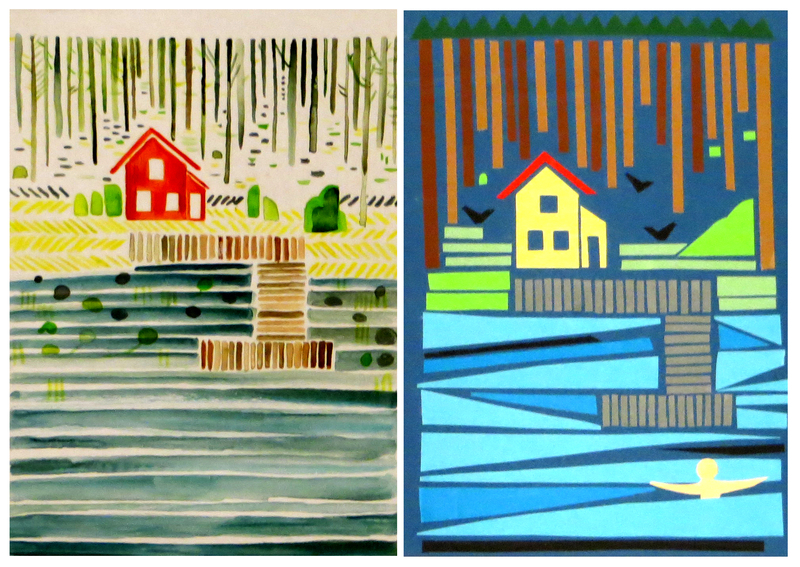 These will be on sale this Sunday at the Snapped Up market at the Printhaus in Cardiff. They will shortly be on sale in my online shop, and also on a new site called The Welsh Gift shop, set up by my good friend Becca to sell and celebrate Welsh artists, writers and crafts. 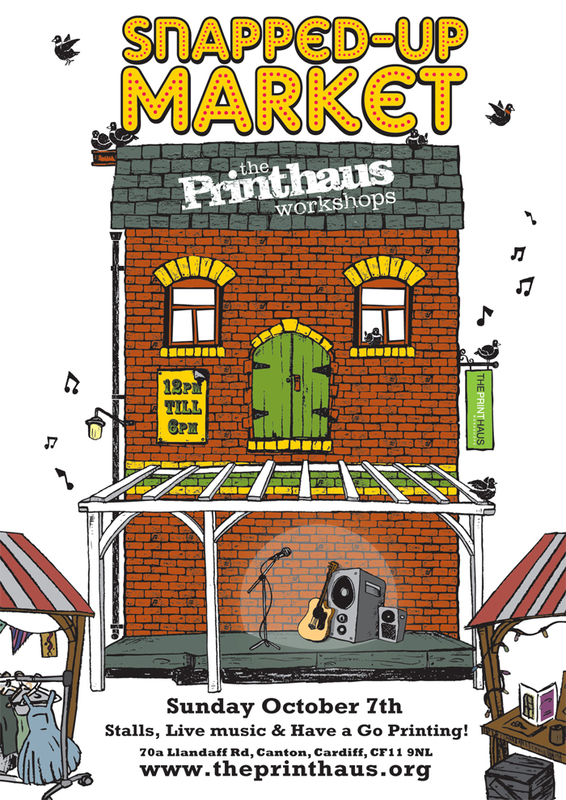 Here’s a poster for Snapped Up with all the details, do come along and say hi! I’m also looking forward to it, as a friend from America is sending a messenger bearing a delivery of quince (quinces?) from his mum’s house in Cardiff. Yum! 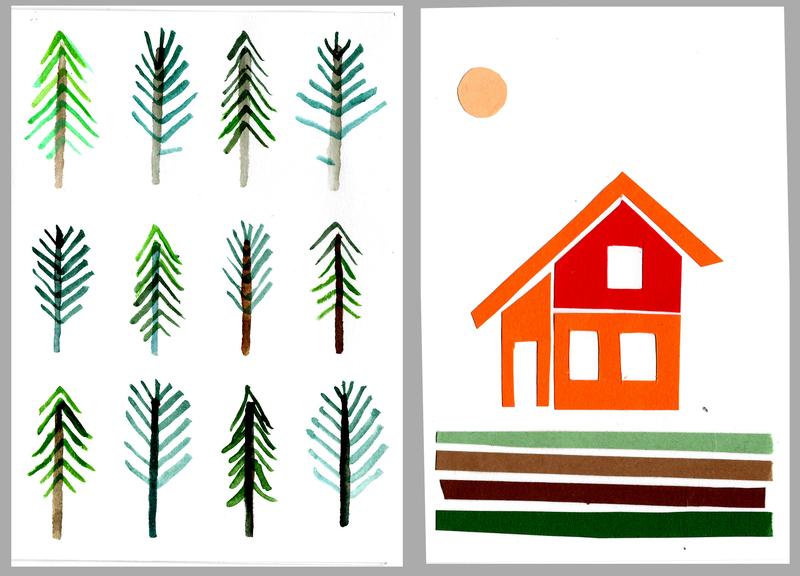 In other news I have two courses coming up at Cardiff Open Art School (Howard Gardens). 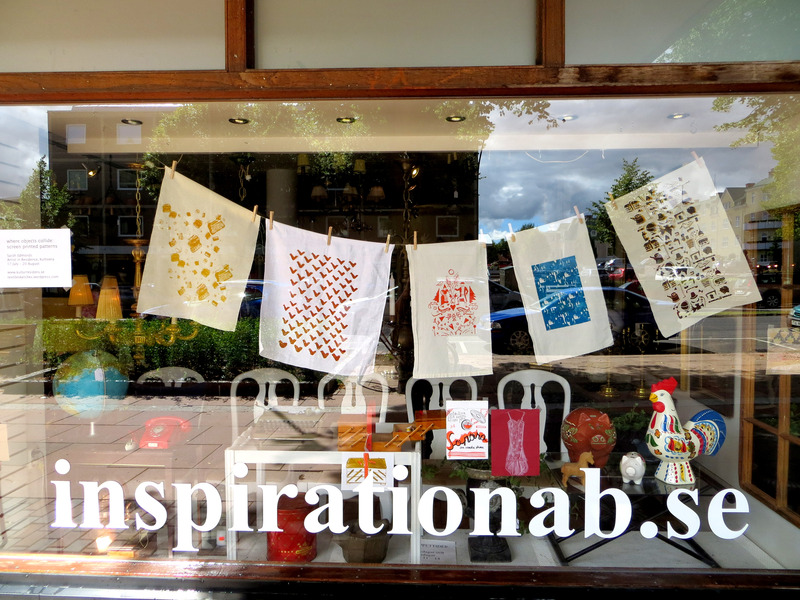 These are in Book binding, on Saturday 20 October, and Festive lino / letterpress print making on Saturday 10 November. 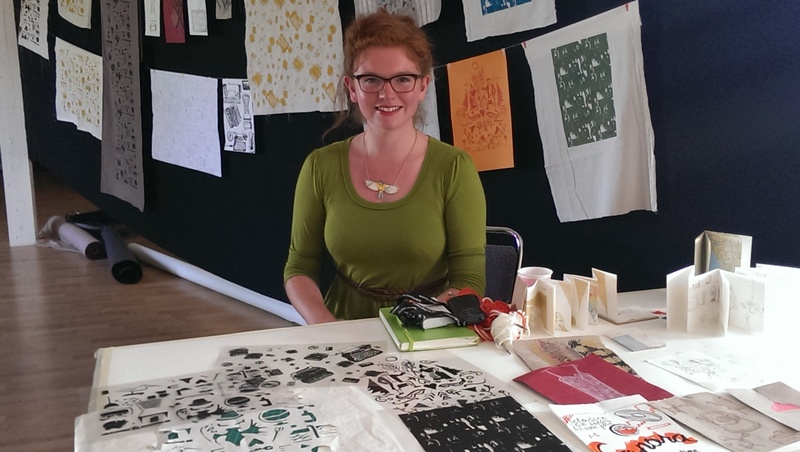 All details are on the COAS website – do have a look and come along! I’ve been pretty active on Pinterest recently, collecting all sorts of delightful and unusual pictures. You can view my page here. Next up: Blackberry Jam, or ‘Dead Good Jam’, made with berries courtesy of Cathays cemetery. 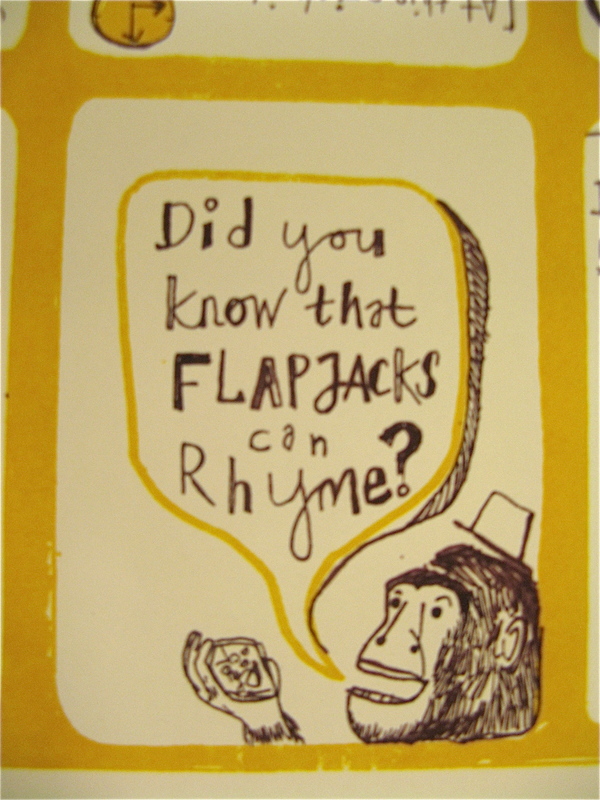 Did you know flapjacks can rhyme? 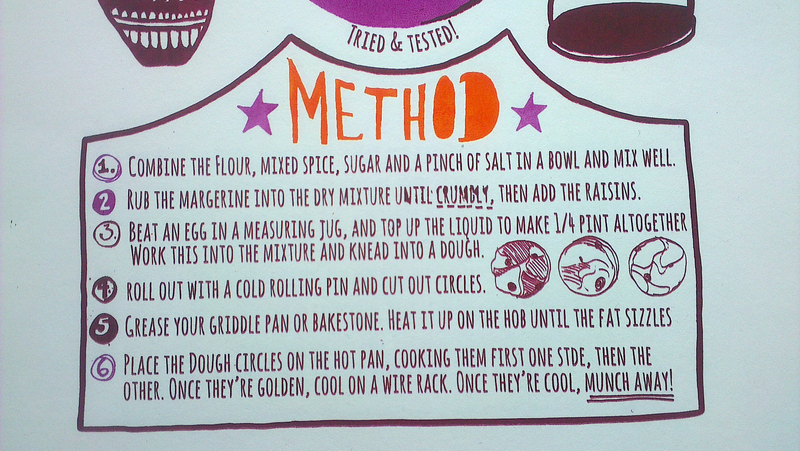 They can and they do in this screenprint. 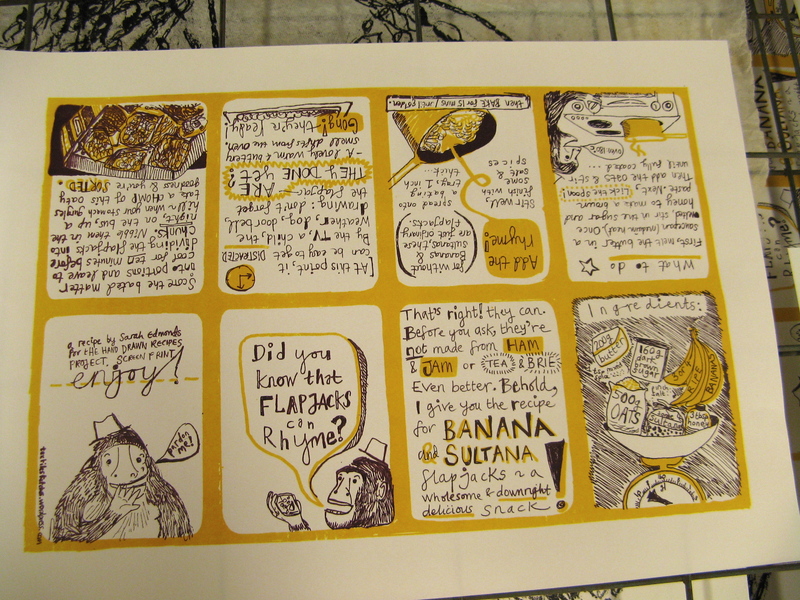 Here are some beginnings to my latest printed book, which charts my recipe for rhyming flapjack. 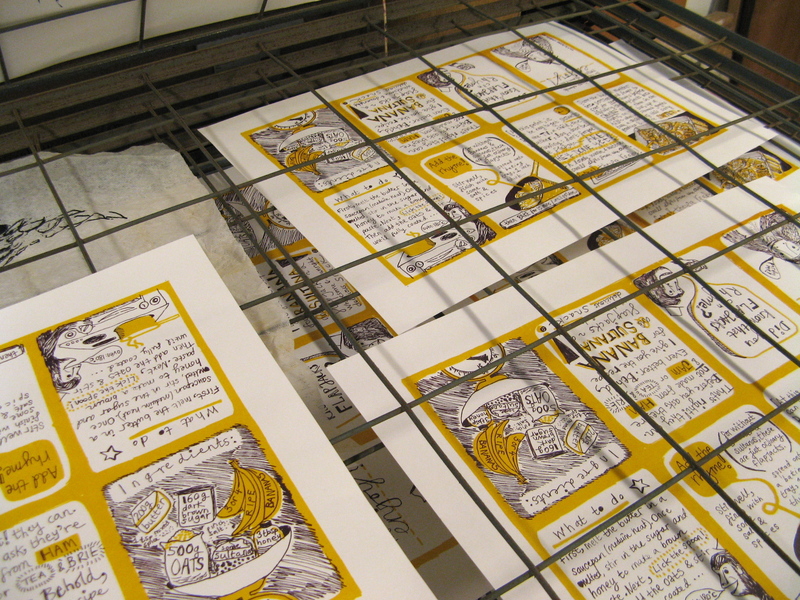 As the second colour is still fresh from the screen, I haven’t yet cut and folded the page into its final book form. 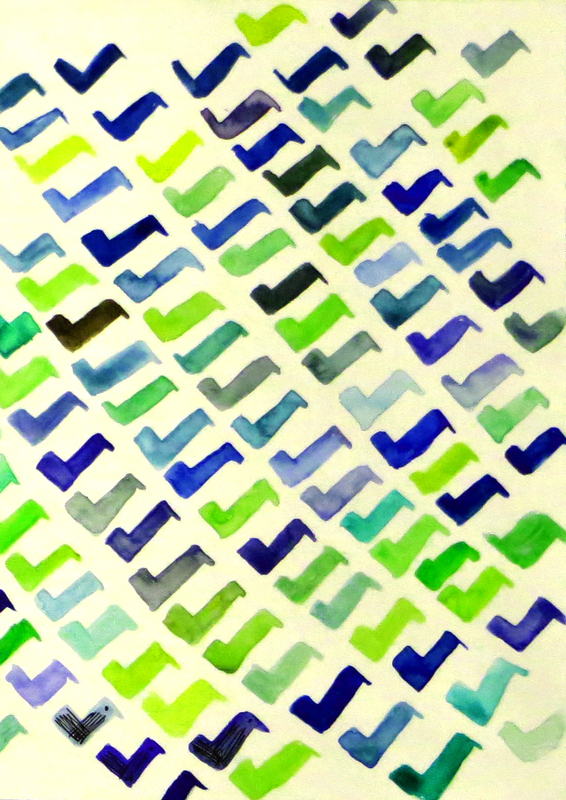 But as ever, I’m impatient and excited about the finished piece so wanted to put it up here for all to see. 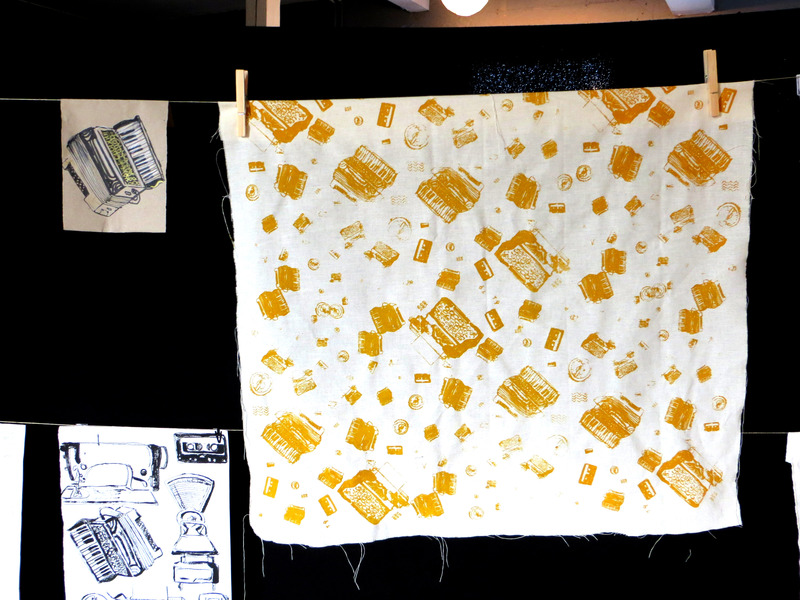 Completed, the finished piece will be launched at Ffotogallery’s Book Arts Fayre on Saturday 25 February. 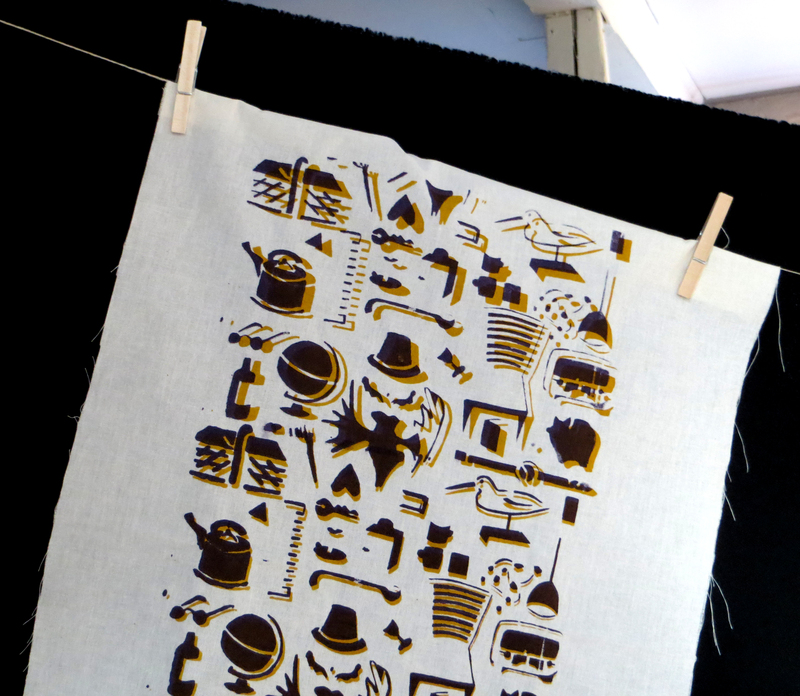 The detail is printed in a dark and dusty plum colour, chosen carefully to contrast (some might say clash) with the yellow borders and backgrounds. The books will be available in the shop from early March. 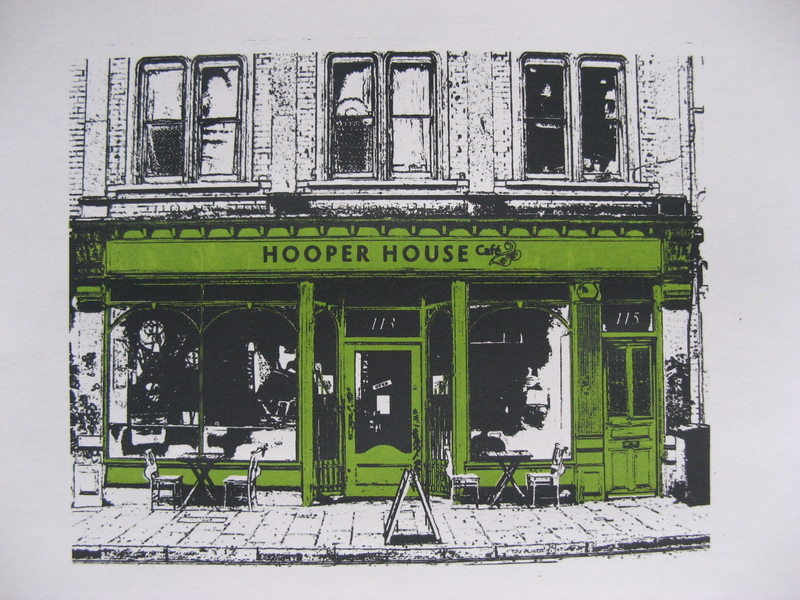 Below – from last week, a finished print of the Hooper House Cafe, a photo stencil based on the Bristol Cafe which fed us toast and jam. 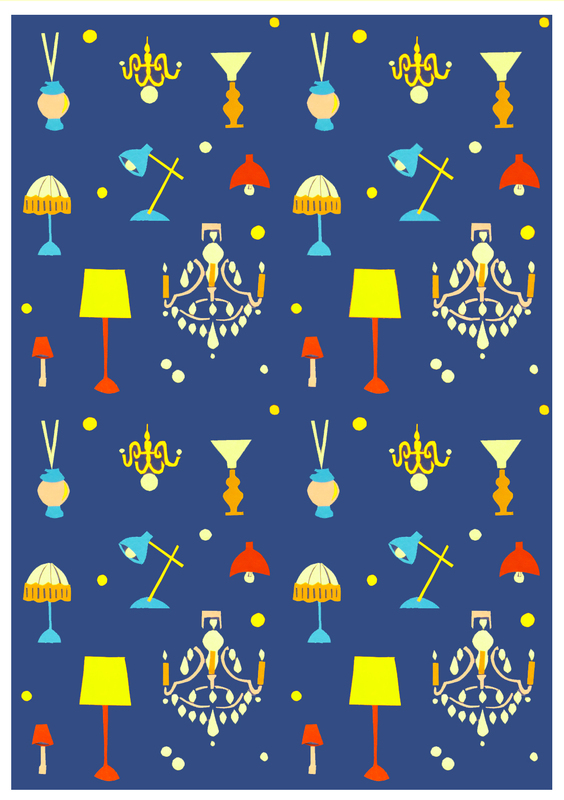 I may even develop this design to create a book based around a shop which sells something more far-fetched or absurd! We are going to Falmouth in less than two days to visit the fabulous Katy and Ben. I am very excited and will be packing lomo camera and sketchbook (and anticipation of the Seasalt sale shop).